by promoting innovation and happiness." Ask our team how much you should earn monthly. Learn how we can help you boost your income. Find out if your home is a match for our portfolio. Honolulu is the largest city on the island of Oahu and the capital of the state of Hawaii. This historic community is not only one of the most popular tourists destinations in the United States, but it's also an important center of economic activity in the Pacific Ocean. Nearly one million people call Metro Honolulu home. From the undeniable beauty of Waikīkī to the buzz of political activity in the Capitol District, Honolulu is a city unlike any other. With several miles of jaw-dropping beaches, world class shopping centers, and some of the best cuisine in the world, it's no wonder that Honolulu continues to attract new residents. In fact, the city has seen its population climb by nearly seven percent in the new millennium. Calling Honolulu home comes with a number of unique advantages, with access to incredible museums and historic sites, as well as a number of local landmarks and points of interest. A few of Honolulu's many attractions include the Honolulu Zoo, the Waikiki Aquarium, and the Honolulu Museum of Art. Residential neighborhoods are scattered across the city, with an assortment of low income housing options, single family homes, and luxury properties. Areas like Manoa and Makiki are home to older Honolulu rentals and small condominiums, whereas Kāhala and many portions of East Honolulu offer exclusive gated communities with large mansions and sprawling estates. 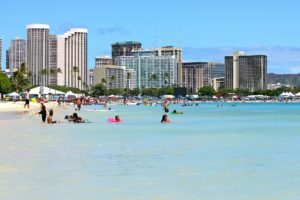 As Honolulu has seen its population grow, the housing market has grown to become one of the most expensive in the United States. Honolulu has a large number of rental units, thanks to its heavy military presence and many local universities. Rentals are also a more affordable option for residents who can't afford to purchase homes. Naturally, for investors in the city, this environment has the potential to generate longterm returns on rental home purchases. Maximizing a property's earning potential is no small feat, however. 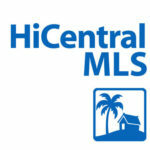 Many property owners ultimately turn to a professional property manager in Honolulu. With the right manager on your side, everything from finding a qualified tenant to handling ongoing maintenance and accounting needs will be taken care of for you. At HappyDoors Property Management, we've already helped countless local investors get more out of their residential portfolios. Our team has been serving the community for over 10 years and we know what it takes to get the best results for our clients. Learn how we can help today by scheduling a free rental consultation. 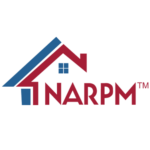 We secure quality tenants quickly by using proven marketing techniques and advertising on more than 20 websites such as Craigslist, AHRN, and Zillow. Find the ideal tenant for your rental property. We carefully screen every application we receive, with background and financial checks designed to keep you protected. Our team processes maintenance requests, coordinates repairs with vendors, and ensures all completed work meets our strict internal standards. Let us make your rental income process simple. We send out monthly statements, handle all accounting, and disburse your earnings via direct deposit. Rest easy knowing your tenant isn't wreaking havoc in your property. We schedule periodic inspections and catch potential problems early, saving you the hassle down the road. Want to take a look at your recent earnings and expenses? Simply sign into the online owners portal to take a look at your property performance and review our notes. If you ever find yourself stuck with a bad tenant, don't despair. We'll guide you through the eviction process, legally removing the renter & finding a new occupant for the unit. Keep your home compliant. Our legal team can guide you through the complex housing laws that impact your rental. Allow us to help protect you and your investment. We understand that you want to stay informed and we have systems in place to help answer your questions. We return phone calls and emails and we're always happy to schedule face-to-face meetings. Gain peace of mind and keep yourself out of trouble. Our legal team pays attention to the assortment of federal laws and local ordinances that impact your property while taking steps to protect your asset. We are determined to help every one of our clients to meet their investment goals, and we don't use hidden fees or costs to pad our earnings. We believe the best management relationships are built on a foundation of mutual trust. Use our knowledge and experience to get the most out of your residential home. With over 10 years of experience, we've already helped countless property owners get more out of their rentals and would love to do the same for you. You can't argue with our results. 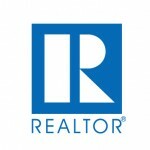 "Highly professional, very friendly, and always looking out for my best interest. Renters are properly vetted, repairs quickly brought to my attention and resolved as quickly as possible and at a very reasonable cost." 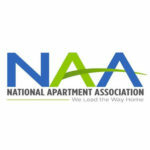 "Reliable, thorough, and communicative. I hired (HappyDoors) remotely & the process was fast and painless. After I fired my old property manager, Brent swooped in & resolved years worth of problems in weeks, and my tenant is extremely satisfied." We know Hawaiian real estate. 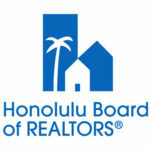 If you own rentals in Honolulu, you understand the importance of partnering with a qualified property manager. With a professional on your side, you can say goodbye to the hassle of the DIY approach, once and for all. Of course, finding the right management company for your unit can prove tricky. Plenty of property managers make big promises about generating long term results & keeping your home in great shape, but few are able to actual deliver on their commitments. 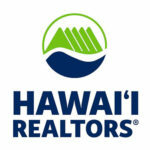 At HappyDoors Property Management, we aim to provide the best property management in Honolulu. We do that by treating our clients like bonafide business partners. From monitoring the local market to pinpointing potential areas of growth for your portfolio, we're not content with the status quo. Whether you own a home in Hawaii Kai, Kapolei, Mililani, Kailua, or Kaneohe, our experienced property management experts are ready to help you succeed.